A lovely hill-town for a weekend escape from Delhi, Mcleodganj is flooded with tourists all through the year and thus the best resorts in Mcleodganj are always full. If you wish to book one of these, we suggest advance planning and booking. Most properties offer unbeatable tariff per night and are a great pick for families as well as couples. 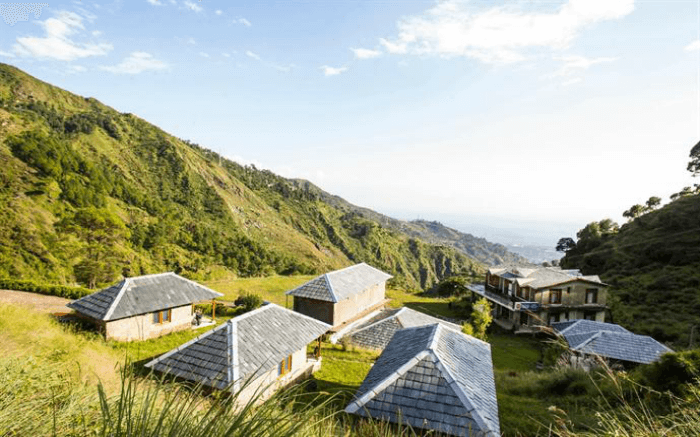 This list of top Mcleodganj resorts lists the best stays for different pockets. They are located in the heart of the town and offer amazing hospitality to make your trip to Himachal Pradesh a memorable one. 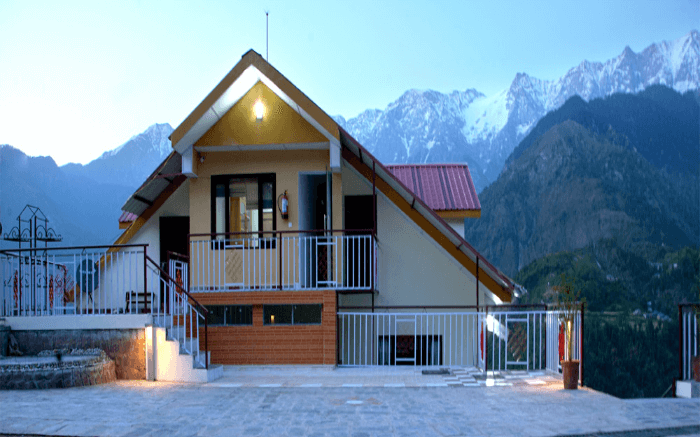 Nestled amidst pine and deodar trees, Gagan Resorts is located in Dharamkot Village. Ample of parking space in the property makes it a good choice for those driving to Mcleodganj to spend a weekend getaway from Delhi. This property offers modern amenities at unbeatable price, and is thus one of the best resorts in Mcleodganj for budget travelers. The rooms have been recently refurbished to make them aesthetically and comfort-wise more pleasureable. 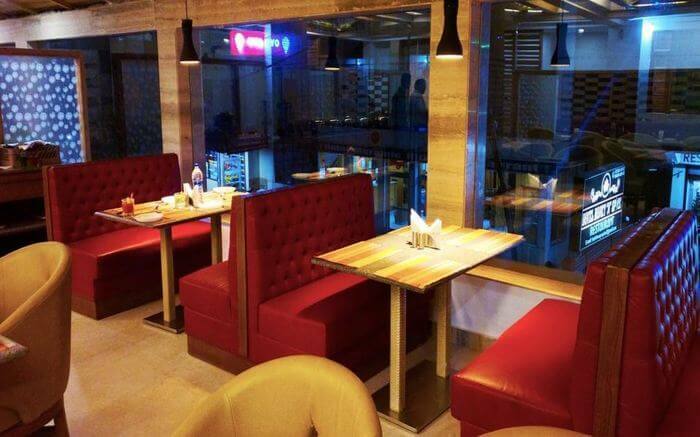 Gagan Resorts also feature a multi-cuisine kitchen that serves delicious food. What’s special: Allows a peaceful stay, away from hustle and bustle. As warm and welcoming as home, Nishaad Resorts is perched near the Sunset Point in Upper Mcleodganj. The resort has 6 deluxe cottages, each one well-furnished and equipped with modern amenities like television, and air conditioner. For a smaller group size, Nishaad offers 4 deluxe rooms, which too are equipped with modern facilities. 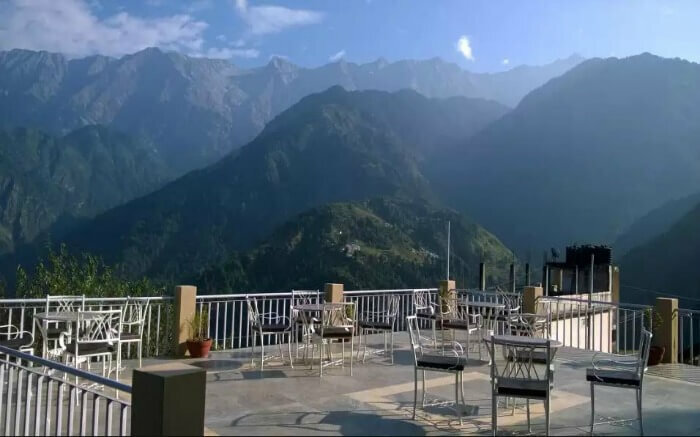 The peaceful ambience of the property makes it a great choice for honeymooners, and private children’s park makes it ideal for families planning a trip to Dharamshala. What’s special: The alfresco restaurant of the property lets you savor delicious flavors as you enjoy the overwhelming views of Himalayas. 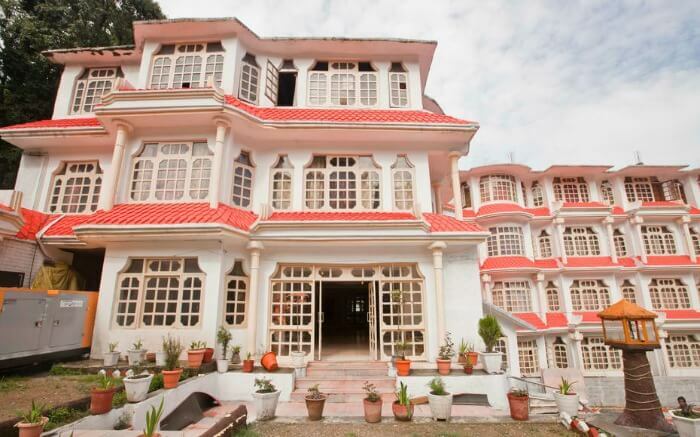 This, definitely, is loveliest Mcleodganj resorts for those who love to dine amidst nature. The Dragon I authorities like calling it more of a residence than a resort. 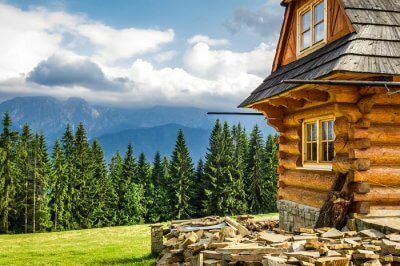 The property is focused on experiential vacation, providing services like overnight treks, bonfires, and picnic lunches. The alfresco dining area will mesmerize you with spanning views of the hills, cool breeze, and most times, clouds rolling below or beside you. Surely, this was unmissable in this list of best resorts in Mcleodganj. There are 12 rooms in the resort, in the categories – Diamond, Gold Family, Platinum, and Silver. Most of these rooms allow snow view. What’s special: The resort is more like a family-run home, and every effort is put in to make the guests feel at home, while they’re vacationing. Experience luxury and comfort amidst the hills, when in Spring Valley Resort. The tasteful interiors of this elegant hotel shows glimpses of local culture, while also blending with modernity, with its rich color theme and plush furniture. The resort features 24 rooms, all with ultimate amenities to assure an unforgettable stay. There are 6 accommodation categories in the resort – Premium Room, Duplex Room, Honeymoon Room, Junior Suite, VIP Room, and Cottages (single or duplex). What’s special: The multi-cuisine in-house restaurant of the Spring Valley Resort, the Aqua happens to be among fanciest restaurants of the locale, and indeed serves a flavorsome food. 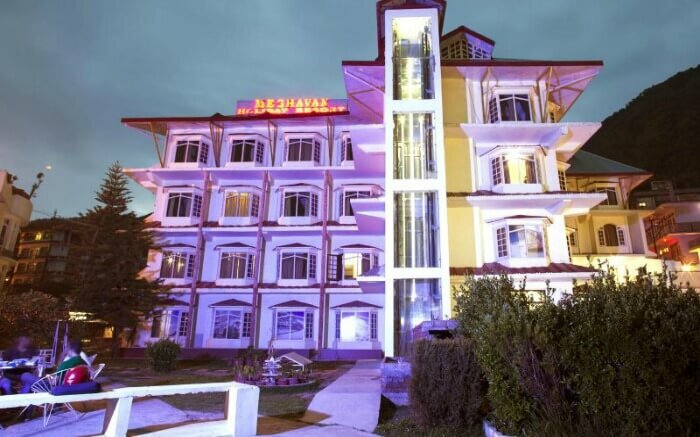 One of the oldest and best resorts in Dharamshala, Meghavan Holiday Resort has still maintained a high standard in terms of amenities, visual appeal, and hospitality. 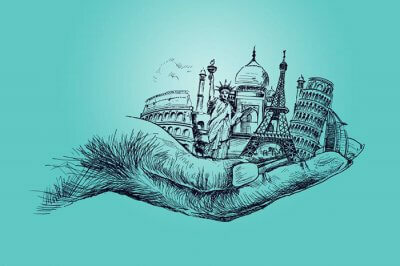 The resort has ample of parking space, and this comes as a bonus for the travelers coming from nearby cities like Delhi for a weekend getaway in their own cars. 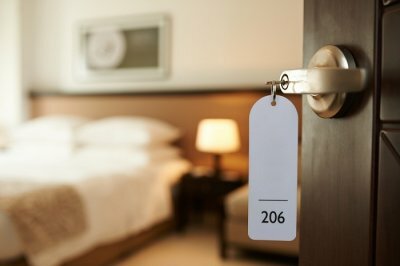 There are four room categories in the hotel – Deluxe Room, Super Deluxe Room, Mega Suite, and Classic Suite. What’s special: The rooms in the resort have large glass windows, to ensure that the guests enjoy the Himalayan view right from the comfort of their bed. Yet another property in our list of best resorts in Mcleodganj is the Una Comfort Great Himalayan Adventure Resort. 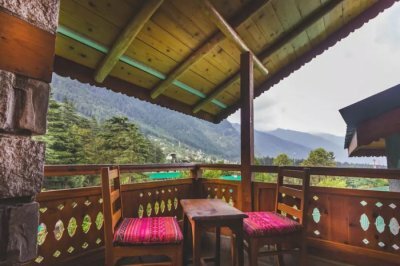 Having tents and cottages spread out in a spacious field surrounding Deodar trees, this resort is a comfortable retreat where you can enjoy basking in the sun, and spending nights around bonfire, or stargazing. Attractions like Bhagsu Nag Temple are located just a short trek away. And after you’re back and tired from sightseeing, you can relax your nerves by indulging in Ayurvedic treatments. 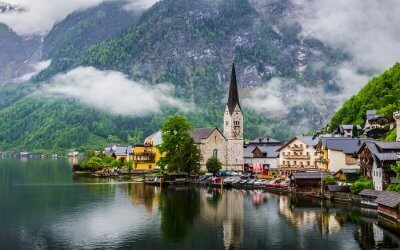 The hotel has private cottages, Swiss luxury tents, and rooms to offer the guests. 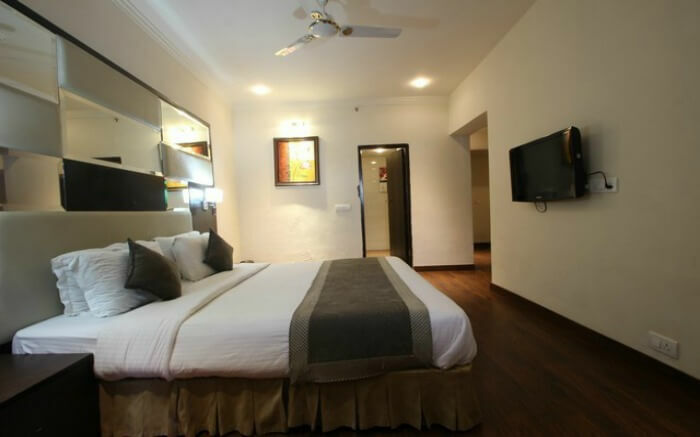 Comfort is an aspect specially taken care of in all the mentioned accommodation categories. What’s special: The in-house restaurant of the resort is multi-cuisine, where dishes are purely organic. 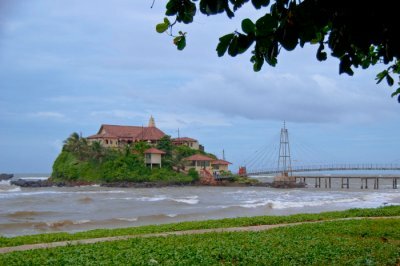 Merging local culture, with modernity and royalty, Royal Palace Resort is recommended especially for those who’re looking for a peaceful stay, away from hustle bustle but still close enough for a fun holiday. The resort has well-furnished 45 rooms, in different categories, as – Royal Family Suite, Luxury Suite, Suite Room, Suite Room (Non Ac), Deluxe Room, and Standard Room. What’s special: The resort arranges barbeque in lawn and terrace area on request. This is great if you’re planning a getaway with group of friends. There’s a special hall for dancing, with disco lights and latest groovy music. 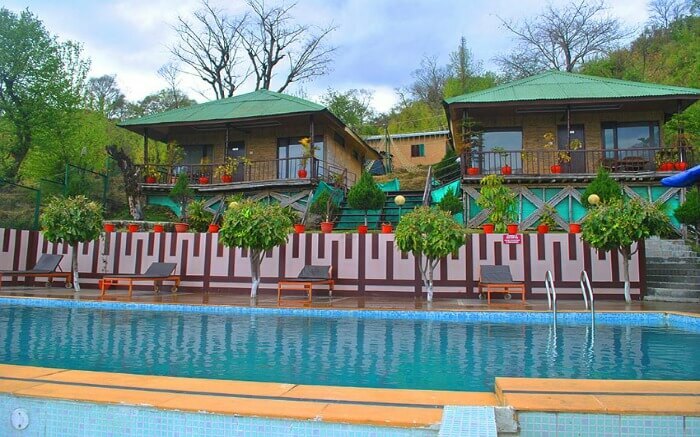 The location of Pride Surya Mountain Resort, near Bhagsunag Temple and Waterfall, makes it one of best resorts in Mcleodganj, especially for those who prefer staying close to the buzz. 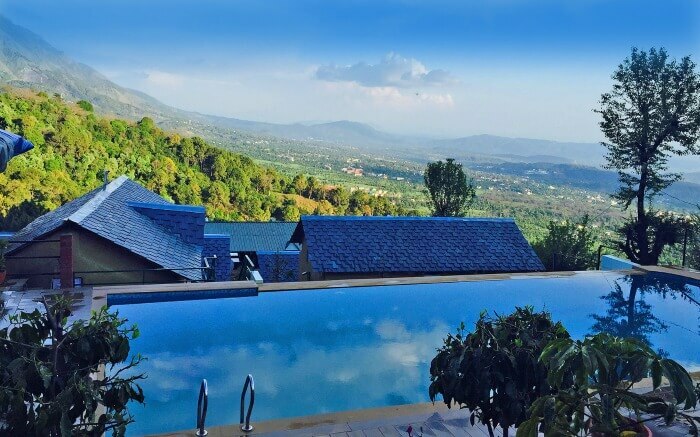 In this resort, supreme luxury meets the soulful mountainscape to make your escape to Dharamshala even more enchanting. Pride Surya features 53 rooms and suites, in category – Deluxe, Premium, Superior Rooms and Suites. What’s special: The Spa and Health Club of the property offers the best in class treatments, by professionals and ensure complete indulgence and rejuvenation. 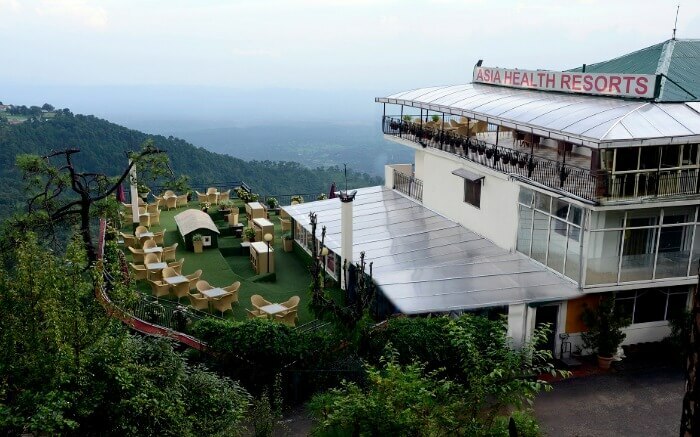 Asia Health Resort & Spa offers ultimate comfort, with four- star amenities, and thus it is among the best resorts in Mcleodganj with swimming pool. The resort features five accommodation category – Super Deluxe Room, Super Deluxe Twin Room, Junior Suite, Family Suite, and Quadruple Room. 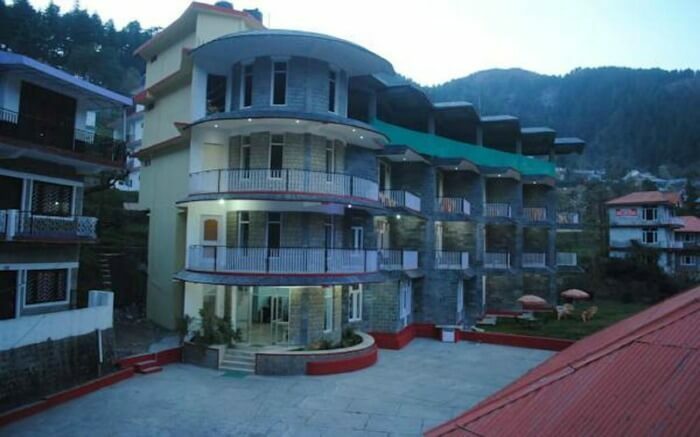 The resort is comfortably located near many tourist attractions of Dharamshala like Dalai Lama Monastery (15 min drive), and Gaggal Airport (30 min drive). What’s special: The property features an exclusive spa with temperature-controlled outdoor pool. The spa offers an expansive variety of treatments following traditional Ayurvedic approach. There’s a steam and sauna bath as well in the spa, and you can request Yoga sessions as per your availability. Standing up to its name, the Exotica in Dharamshala is among the finest luxury resorts in Mcleodganj. There are four accommodation types in the property – Elite Cottages, Concept Cottages, Deluxe Luxury Rooms, and Luxury Rooms. Each of the rooms are elegantly decorated to match international standards of luxury. The resort features a multi-cuisine fine dining restaurant that overlooks the Himalayan landscape. The location of the property is serene, making you feel closer to nature. What’s special: The outdoor pool of the Exotica lets you enjoy the views of the hills, as you take a dip inside. We hope this list of best resorts in Mcleodganj came out to be helpful for you. Know of any other lovely property in Dharamshala? We’d love to know.